BEST IN THE MIX: REVIEW: Childish Gambino - Awaken, My Love! 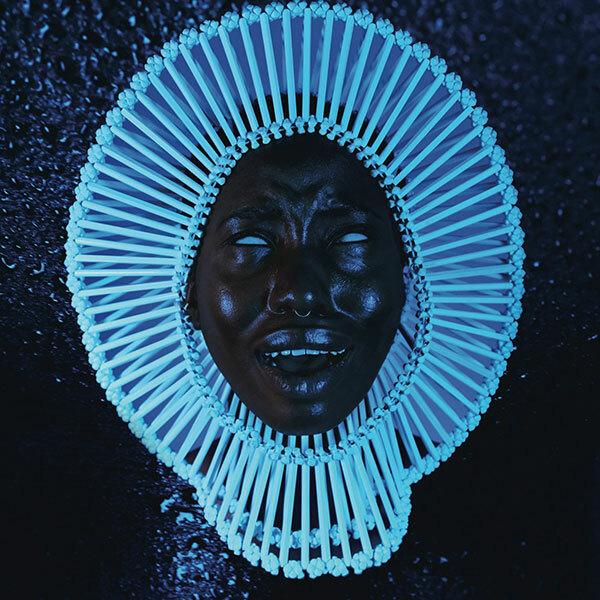 REVIEW: Childish Gambino - Awaken, My Love! Despite 2016 being such a depressing year with all of the losses we have suffered as a culture, it's great to see artists step up in an attempt to fill the void left by their predecessors. The era of true soul-shaking funk music pioneered by bands such as Parliament is one that is revisited by very few artists these days, as the generation gap becomes increasingly more difficult to bridge. Also, the days of true musicianship within urban culture is hanging by a thread that continues to thin. Out of all the artists who could have released music that pays homage to this era, I'll admit that I never would have suspected Childish Gambino to be one of them. This has truly been the year of Donald Glover coming into his own and establishing himself as a force within urban culture; first by turning typical Black television programming upside-down with his hit show Atlanta on FX this past fall, and now with his Funkadelic-infused third studio album Awaken, My Love!. Not only has he captured a sound birthed by the likes of George Clinton and Bootsy Collins, Gambino has managed to compile together a project that literally sounds like it belongs in the Parliament discography. This major identity crisis may be a turn-off for some who adore the great years of early funk music, but the reason why it works is simple - the music is absolutely incredible. Expecting another Camp or Because The Internet-type affair, I was taken aback by the album's lead single "Me And Your Mama." It starts off like a lullaby for the first couple of minutes, and then takes off into a full-fledged funk anthem with Childish Gambino channeling all of the aforementioned artists above, while adding his own flavor into the mix. It seems as if this was done intentionally to shock the listener into adjusting their ear, as this is NOT a Rap album in any way shape or form. This trend continues into the album's next song, "Have Some Love," which opens with chants that sound like they were ripped straight from a '70s Blaxsploitation flick. Gambino's staccato verses fall right on beat with the high hats throughout the song and make it somewhat difficult to make out his words, but this song is more about establishing the vibe of the ride he plans to take the listener on. This is probably a crazy comparison, but the chorus line on "Have Some Love" is reminiscent of the Fat Albert theme song with a slower tempo, LOL. The first true highlight comes four tracks in with "Zombies," which is an eerie, yet soulful romp that gives you a glimpse into the leeches that 'Bino has been associated with throughout the course of his journey as an artist. Anyone who understands the decisions Donald Glover continues to make with every aspect of his career knows that he is completely against working for someone, and refuses to allow the industry to take advantage of his talent. He cleverly juxtaposes zombies eating people with the industry feeding off talent for profit, and how the artist tends to lose their soul in the process. The song ends with a vamp of Gambino asking 'Do you feel alive?' This line is powerful because it poses this question to the listener; are you doing what you truly love, and have you been able to maintain your soul in the process? People often spend their entire lives slaving over jobs they could care less about and making someone else rich in the process, instead of taking control of their situation by becoming their own boss. The production on Awaken, My Love! is nothing short of stellar. I've always respected Childish Gambino's talent as an artist, but when listening to this album it often became difficult to accept that this was really his project. That is no disrespect to the brother, it's just that Awaken, My Love! is such a drastic departure not only from the style of music he usually creates, but from the quality as well. The album's second single "Redbone" sounds like it was ripped directly from one of Prince's earliest albums. Bino's voice reaches a register that sounds so next-level it's hard to believe that he uses no pitch correction. If you count all of the lesser-known mixtapes, Childish Gambino has been releasing projects for nearly a decade now. And while each mixtape and album has had its share of notable tracks, 'Bino had yet to release a complete album that I would ever highly recommend to someone who was interested in getting into his music. I was always a big fan, but every album has had missteps that kept it from reaching the heights of which his talent demands. Awaken, My Love! has completely shattered this notion, as this is by far Gambino's most complete project to date, and one of the best albums of 2016.